Below are short descriptions of some of the projects that I am currently incubating and/or exploring. Not all of them are mine to do alone, and so I include the assistance I am looking for on each project to attract anyone who feels called to collaborate on any of these. I know how to architect and lead a project – that does not mean that all of these are uniquely and entirely mine to do and complete. I recognize that I am holding the space/vision for what these projects could be. If you feel called, please, reach out! From my experience as a learning scientist and learning engineer, I genuinely believe that creating a user-friendly digital tool that enables teachers and researchers to map, plan, and share the structure of a learning environment can radically re-shape the educational landscape. With such a tool, we could start visually mapping out the landscape of our pedagogies in a more multi-dimensional manner to capture more of what is already there. Some pieces of this tool exist in multiple, isolated tools available on the market, while others we get to invent. I am working on a suite of tools that help us analyze the underlying epistemology that learning environments, algorithms, and models embody as well as to what extent the designers and users (i.e., learners) pick up on those epistemologies. This project, therefore, has an analytical component (creating the tools with which to identify and categorize the embodied epistemologies) and an experimental component (demonstrating when and how those epistemologies become not only apparent, but also consequential). Learning researchers have been increasingly translating frameworks and methods from the study of complex systems. One influential idea from complex system science is reframing learning as a phenomenon that is the dynamic result of processes occurring at multiple levels of analysis. This means that if we want to study learning in a more productive manner, we need to find a methodology for combining learning measures/observations from across a ‘stack’ of levels. For the last several years, I have led a multidisciplinary team to create, deploy, and study a digital graphic novel. One of the goals of this ongoing project is to design learning and story assessments that exist within the medium of the graphic novel rather than outside of it (e.g., through surveys). 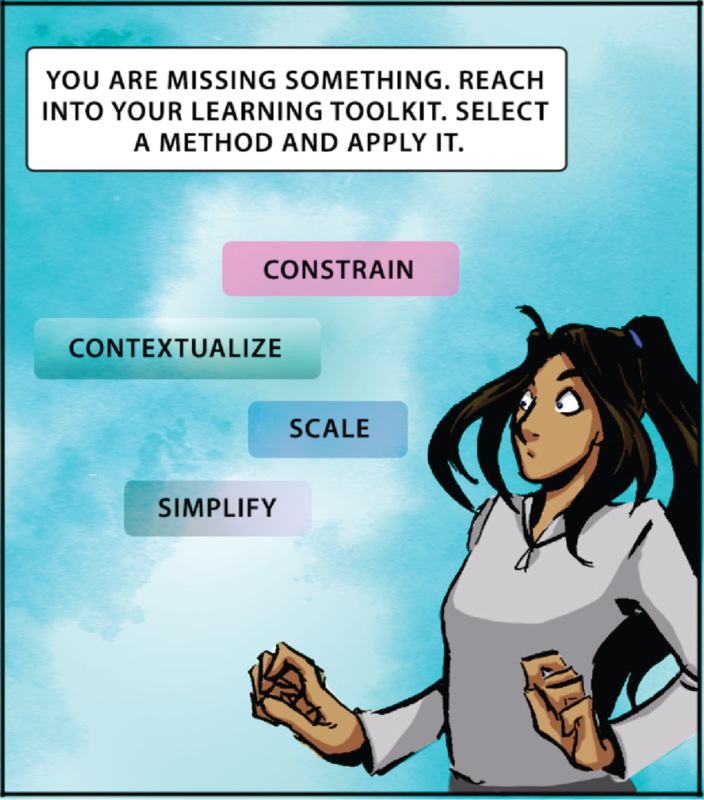 Because of the narrative nature of the graphic novel medium, I am curious about structuring the assessments about readers making meaningful choices through which we can observe learning. I want to facilitate the learning of the philosophical frameworks/concepts in play when thinking about human and machine learning as well as the philosophical methods/procedures in use when discussing human and machine learning. The goal of this learning experience would ultimately be to find how we can use our thinking and researching about one to inform our thinking and researching about the other. A major hallmark of the learning would be around how both fields deal with complexity. I have been involved with the design of multiple crypto-economies and decentralized communities. It is a fascinating process that combines complex system science with governance structures with economic mechanisms and with computer simulations just to name a few areas. I want to facilitate the learning of this process through a projects-based environment similar to an active architectural studio.